Brass Plated ticket holder. 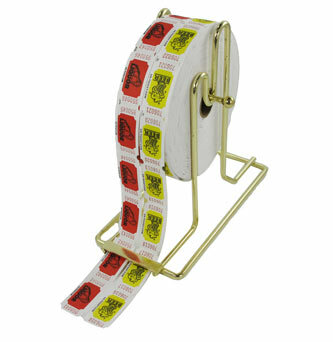 Holds one roll of double roll tickets or one or two rolls of single roll tickets. Made in the USA!